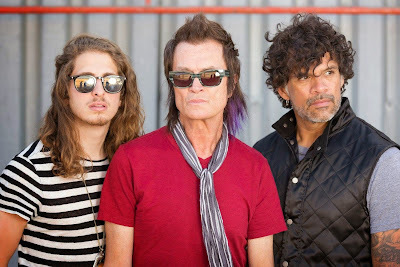 California Breed – the band formed in 2013 by Glenn Hughes, Jason Bonham and guitarist Andrew Watt – have called it quits. Hughes and Bonham formed California Breed with Watt from the ashes of supergroup Black Country Communion, which fell apart over Joe Bonamassa’s yearly solo touring schedule. The band released their self-titled debut album last May, but Bonham bailed in August due to scheduling commitments and was replaced by Queens Of The Stone Age/Eagles Of Death Metal drummer Joey Castillo. California Breed played an extensive fall tour of North America and Europe and performed their final show at Planet Rockstock in Wales on December 5.